As part of Dairygold’s ‘Wrap It Pink’ campaign now in its fourth year, farmers nationwide were encouraged to wrap their silage bales in pink over the summer. Pink wrap was available from Dairygold’s network of retail stores, Co-Op Superstores, across Munster and nationwide via their online store at coopsuperstores.ie, with the Co-Operative making a donation for each bale of pink wrap purchased. John O’Carroll, Head of Retail, Dairygold said: “We are once again overwhelmed with the level of support for our ‘Wrap It Pink’ campaign. Pink has become the new black in silage fields across Ireland and through our involvement, we are realising our mission to raise awareness of cancer in rural Ireland, while also raising much-needed funds for the Irish Cancer Society. 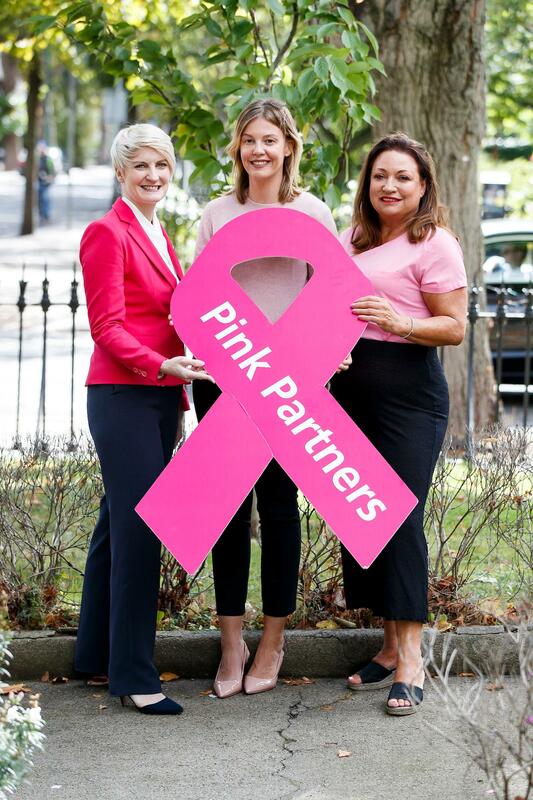 Leading Irish business woman Norah Casey, who had her own breast cancer scare, was on hand to announce the names of Irish companies preparing to ‘go pink’ this October to raise funds for the Irish Cancer Society. Each year, over 3,100 women are diagnosed with breast cancer in Ireland. Money raised by the Pink Partners will fund vital information and support services including the Society’s Cancer Nurseline and Daffodil Centres. Other companies joining the fight against breast cancer alongside Dairygold Co-Operative include Centra, Boots, ghd, Inglot, The Little Greene Paint Company, Henry Schein Ireland LTD, and CPL fuels.